Implant surgery is a method that allows dentists to plan your implant surgery on a computer using Computerized Tomography (CT) as opposed to traditional panoramic x-rays that offer the dentist a limited approach during the planning and execution of the oral surgery. This technique ensures a more accurate process from plan to execution. 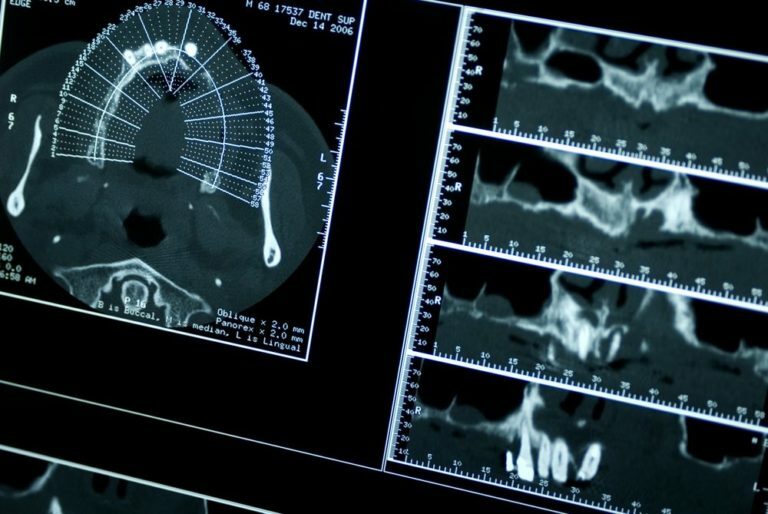 Implant surgery uses CT imaging to diagnose you before the surgery and develop a treatment plan. Generally, you can expect to first have a cat scan, go through treatment planning with your dentist, and then go through the implant surgery. What are the benefits of implant surgery? There are a variety of benefits to implant surgery. This method of treatment is far less invasive. The time spent under anesthesia is usually much less than traditional dental implant surgery. Because this surgery is usually flapless, the recovery time is typically shorter. While traditional implant surgery requires extensive bone grafting, implant surgery helps minimize the amount of grafting needed. The implant procedure works in three steps, after the initial visit and planning session. A surgical implant will be created to guide the dentist in the procedure. He/she will grind any rough edges down using a bur and disinfect it. Once this is done they will secure the surgical implant using a bite index and secure it using the anchor pin. Finally, they’ll remove the soft tissue using a tool called a tissue punch. The doctor will then begin drilling into the bone to prepare it for the implants and then place a provisional restoration that was created prior to the surgery.